Tennis super-coach Patrick Mouratoglou believes no tennis player can reach their maximum potential without the influence of a top-class coach, as he suggested a strong backroom team can offer the final piece of a jigsaw for a Grand Slam champion. Australian maverick Nick Kyrgios is among those who have proclaimed he does not need a coach to achieve his goals in tennis, yet the long-time coach of Serena Williams has a very different view on the topic. “I think in life, we’re not alone,” Mouratoglou told Eurosport. “I think we all have people around us, we have friends, we have family, we have people who work with us. “Life is about teamwork. Nobody becomes great by himself – that doesn’t exist. That’s the case for in anything, and in tennis, of course not. “I think you’ve also fair to the coaches, because I think what Boris Becker did with Novak Djokovic was unbelievable, he brought him to a different level. I think what Magnus Norman did with Stan Wawrinka was unbelievable, and I don’t think those guys would’ve had the same career without their coach. “They deserve most of the credit, the players for sure, but the coach is important. Do you think Andy Murray would’ve had the same career without Ivan Lendl? I don’t think so, but we’ll never know. We see there’s a big impact of the coach. Maybe not all the time, but through the career of some players. I think it’s fair to give them the opportunity to show what they bring to the players. “It’s a fair thing, and there’s a reason why all the other sports decided to legalise coaching, and more than that, to show the coaches, their work and let the coaches be part of the show – in boxing or in any other discipline. 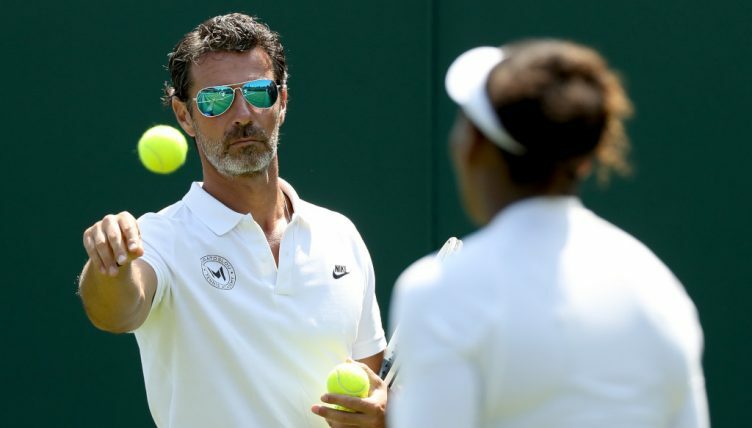 Mouratoglou, who was caught up in a huge storm after he admitted to breaking the rules by giving advice Williams from the stands during her fiery US Open final defeat against Naomi Osaka last year, believes the ATP and the Grand Slam events should follow the lead of the WTA and allow on-court coaching during matches. “The question is should the coach be visible or not,” added the Eurosport expert. “Coaching is not about telling the guy what he should do, otherwise you should be the one playing. It’s about helping the guys get the best out of themselves. “Sometimes if my player did something that I felt was wrong, because ‘look, if you do that you’re in trouble’. I would make him feel that this is wrong, but the idea is to bring the players through a learning experience where he grows. That’s what I’m doing. “During a match, you might of course say something that is technical or tactical, because you feel like maybe there’s too much emotion sometimes so the player is not lucid, and can’t see things the way they are but most of the time you make him feel confident, good and you make him build up his game to play the best tennis he can. “Most of the time it’s very mental when you talk to your player during a match. The coach is not a teacher, where you’re telling him to do this or do that. You’re not telling your player that he has to work hard. He knows this. “The question is how you interact with the player to give him the strengths and the belief to do every day what he needs to do and gets what he wants at the end. Having the coach on court is also an occasion to show people what coaching is about, and that we’re not teachers at school.